I needed to make the most of an eleven hour road trip for a week-long magazine publishing course at Yale University. Indeed I am living out a fantasy and can not be convinced that I deserve to be amidst this group of professionals. My first challenge started before I hit the road. I was solely responsible for selecting a mid-way point for my drive from Lexington, North Carolina to New Haven, Connecticut. had a love affair with a city called Baltimore. 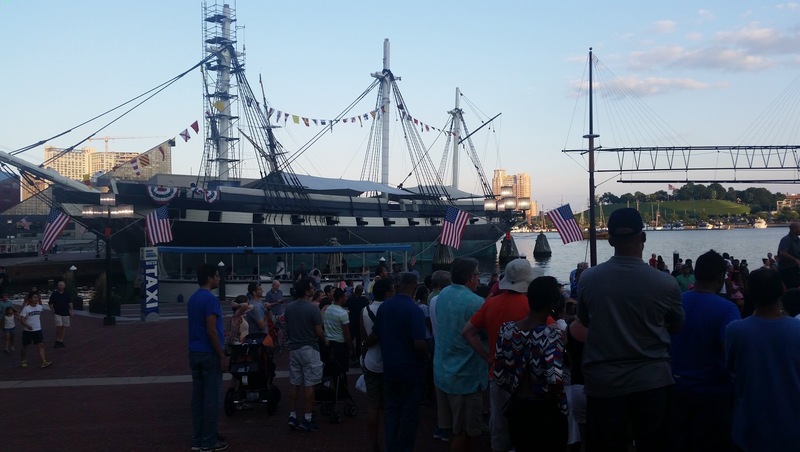 The city of Baltimore is beautiful and filled with Poe related history. 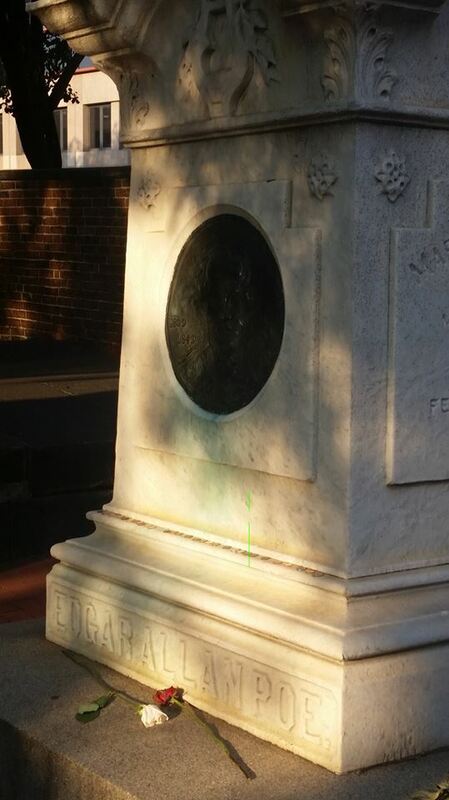 He was from a Baltimore family and lived there during much of his literary career. Both Poe’s parents were actors and died tragically before he was three years old. Poe was adopted by a wealthy Virginian. He attended the best schools and briefly served in the military before being honorably discharged. He spent his final years in Baltimore writing poetry and living in the home of his auntie Mrs. Maria Clemm. 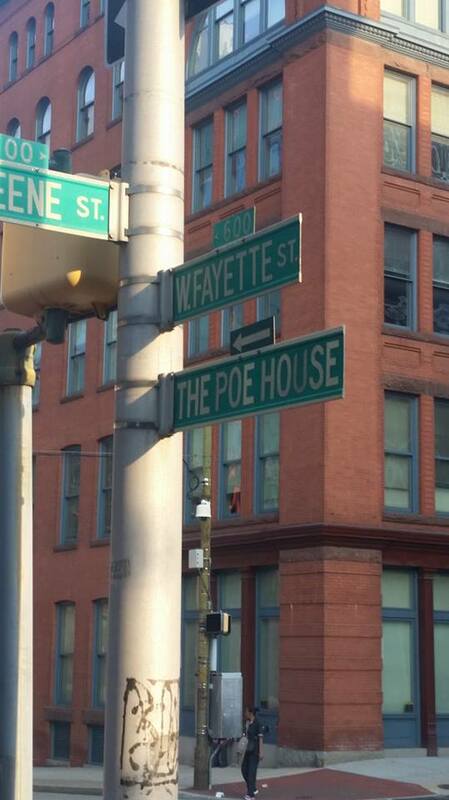 During the week of Poe’s mysterious death, the writer was found delirious on the streets of Baltimore. He died at age 40 in a hospital near the place where his body lies at rest. at the memorial of my idol. much of his poetry focused on the topic. There aren’t enough writerly words to express the moment of sheer appreciation that I had for the opportunity to sit in the shadow of Edgar Allan Poe. 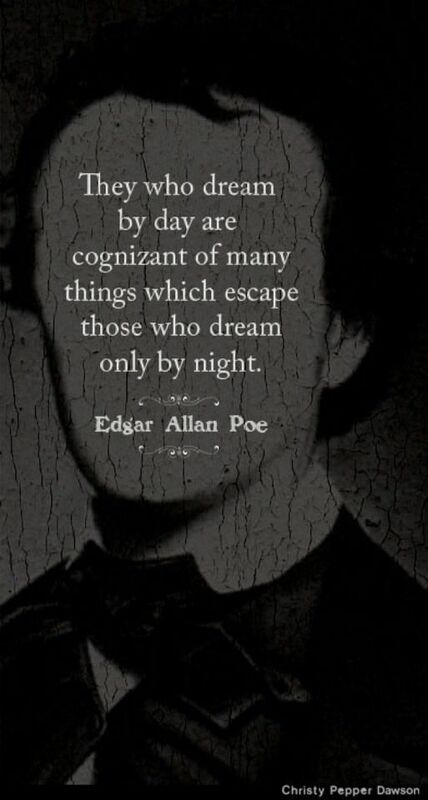 I looked up at the sky and thought of what they call “Poe’s Baltimore” and wondered what advice he would give to an aspiring writer.